Who doesn’t love a good petit four now and then to satisfy one’s cravings? 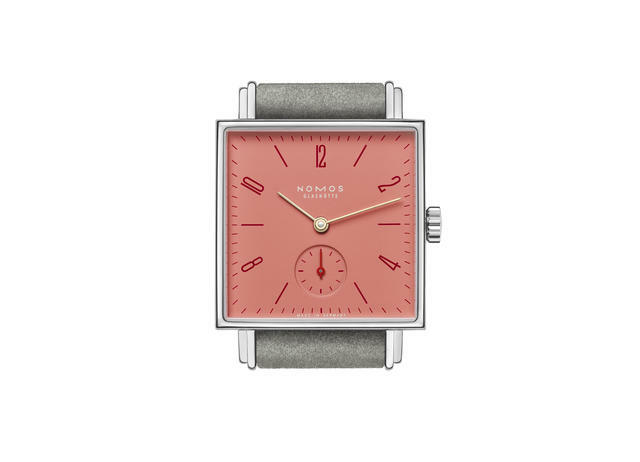 NOMOS has taken inspiration from this sweet treat, introducing the Tetra Petit Four watch collection—with all the artistry and charm of its French pastry namesake and none of the guilt. 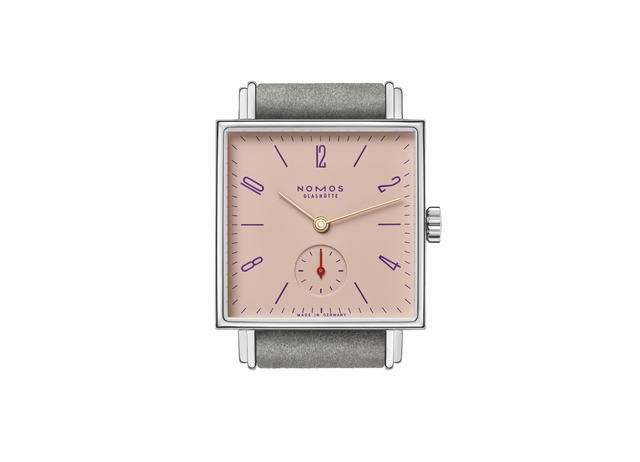 The watch’s architecture is purely Tetra, from its square-shaped case to the modern, sans serif Arabic numerals on colorful dials. Other emblematic details are the “double-lug” and small seconds at 6 o’clock. 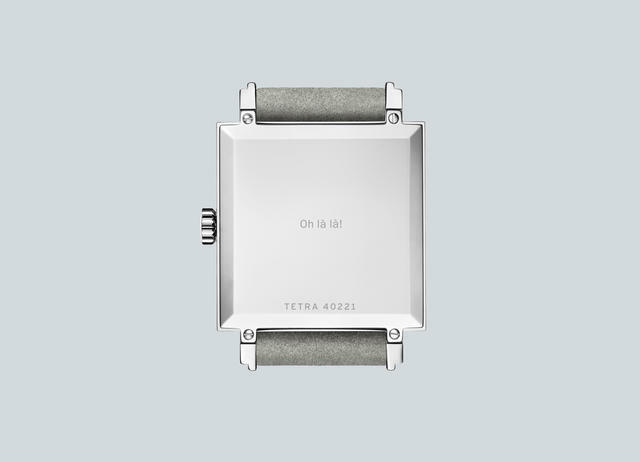 Here, the steel watches are 29.5mm by 29.5mm. 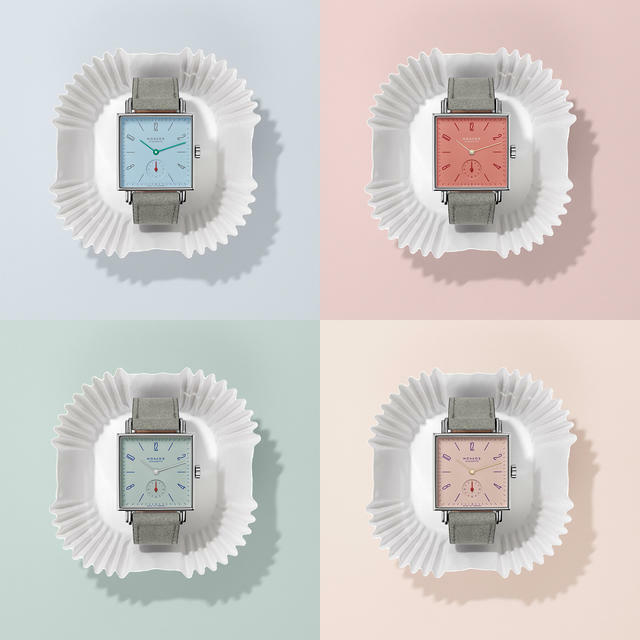 The new models come in four colors that conjure spring—or frosting—pick your pleasure: Tetra Matcha, Azure, Pearl and Grenadine. 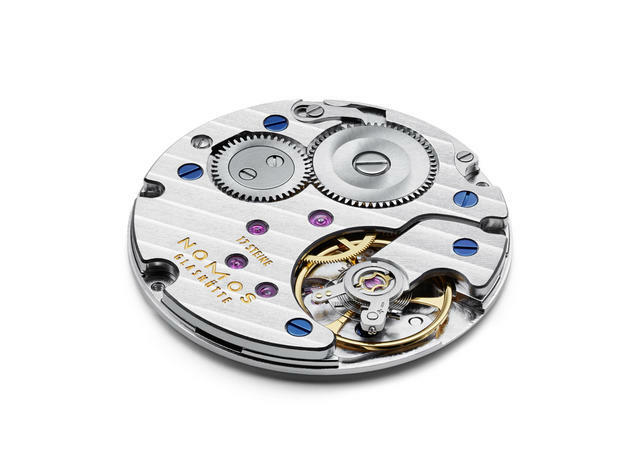 Each is powered by the manually wound Alpha caliber, which is crafted by hand in Glashütte, visible through the sapphire crystal caseback on two of the four watches (Tetra Pearl and Tetra Grenadine). 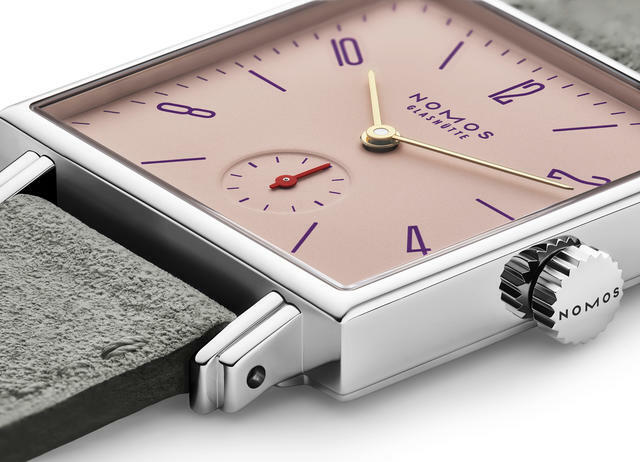 The remaining two models feature solid casebacks designed for engraving a personal message. The Alpha is adjusted in six positions and is artfully decorated with Glashütte ribbing, tempered blue screws and NOMOS perlage. The colorful dials are self-explanatory. Grenadine is a warm shade of red, while Pearl is a lustrous pink. Matcha—named for the specially grown tea—is a vegetal green and Azure conjures the blue of the ocean. 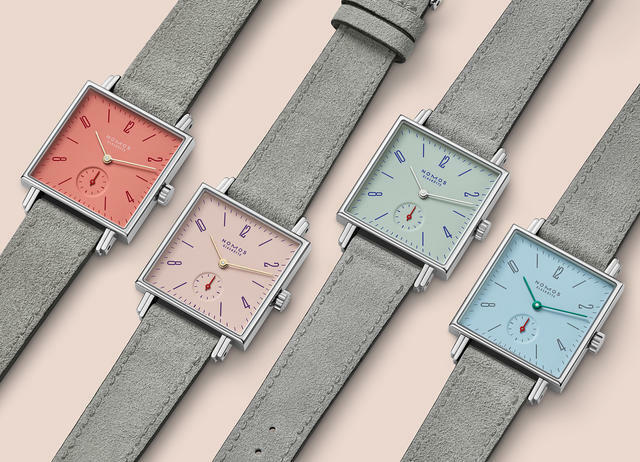 The typography complements the color of each dial subtly but effectively, allowing easy reading of the time, and the single hand on the small seconds subdial pops in red on each model. 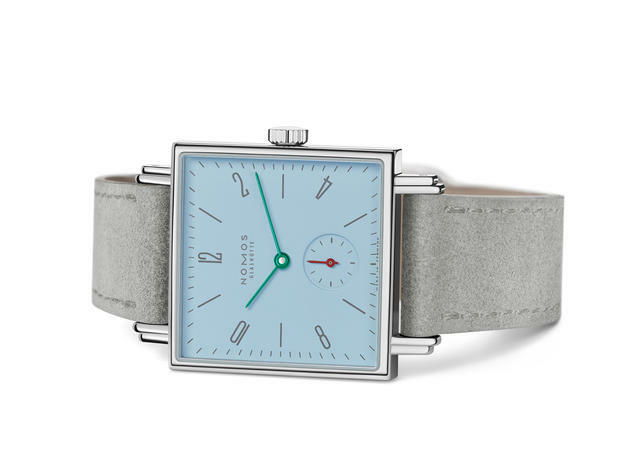 Each watch is fitted on a gray velour leather strap.